the GOCC Financial Aid Office. The student must maintain a minimum 2.0 grade point average on a semester and cumulative basis. Transfer credits from other institutions will not be considered in this review. Completion Percentage: Students must complete at least 67 percent of all credits attempted on a semester and cumulative basis. Attempted credits include registered credits and transferred credits from other institutions. Completed credits include transfer credits, grades of CR, and 1.0 or higher. Incomplete credits include NC, W, 0.0 and I. Maximum Time Frame: The number of attempted credits in which a student is expected to finish a program cannot exceed 150 percent of the published length of the program. Attempted credit hour limits apply whether or not the student has actually received financial aid for the entire time at GOCC. Transfer credits from previous schools count toward maximum timeframe. Students exceeding these attempted credit hour maximums will be on financial aid denial and will not be eligible for additional semesters of financial aid. Students who fail to meet the GPA and/or completion criteria are placed on Warning for their following semester of enrollment. When on Warning, students may be eligible for grants, scholarships and loan funds. After the warning semester, the student’s progress is again monitored. If the student’s cumulative progress meets or exceeds the GPA and completion criteria, the student may be removed from Warning. Students who fail to meet cumulative progress requirements for a second semester will be on financial aid Denial. A student on financial aid Denial is ineligible to receive federal financial aid. To regain eligibility, a student on SAP Denial must do ALL the following: 1) Meet the minimum cumulative GPA requirement of 2.0; and 2) Meet the minimum cumulative completion rate requirement of 67 percent; and 3) Make a request, in writing, for a re-evaluation of his or her SAP status. Appeal forms are available in the GOCC Financial Aid Office. How is Your Financial Aid Award Determined? 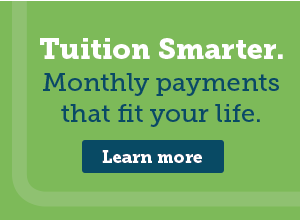 Free Application for Federal Student Aid (FAFSA) is used to compute the student’s expected family contribution (EFC). The formula for the calculation of the EFC was developed by Congress and is used by ALL colleges and universities. Students who receive federal (Title IV) aid, (i.e. Pell, SEOG and student loans) will be subject to the Federal Return of Title IV Funds Policy. This policy applies to students who completely withdraw or stop attending all of their classes. The federal government mandates that students who withdraw or do not complete all classes may only keep the financial aid they have “earned” up to the time of withdrawal. Title IV funds that have been disbursed in excess of the earned amount must be returned by the college and/or the student to the federal government. Thus the student could owe financial aid funds to the college, the government, or both. The federal policy requires a return of Title IV aid if the student received funds from any of the federal programs and withdrew, or stopped attending, on or before completing 60% of the semester. After the 60% point, no return of funds is required. To determine the amount of aid the student has earned up to the time of withdrawal, the Financial Aid Office divides the number of calendar days the student has attended classes by the total number of calendar days in the semester (minus any scheduled breaks of 5 days or more). The resulting percentage is then multiplied by the total federal funds that were disbursed (either to the student’s account or to the student directly by check) for the semester. Students who receive financial assistance from a non-federal source(i.e. private scholarship, Glen Oaks scholarship, etc.) may be required to return a portion of the funds to the source, depending on the terms of the scholarship. A detailed explanation of this policy is available on the Glen Oaks Financial Aid website in the Consumer Information Guide.